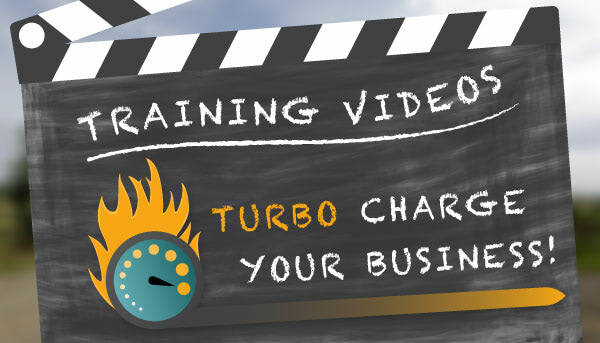 Five ways training videos can turbocharge your business. Five ways training videos will turbocharge your business. If training videos aren’t your number one educational tool, you’re missing out. 1) Train according to need. Delivering training with video means folks can learn what they want when they want. When a learner doesn’t understand a concept, needs to review, or needs a particular lesson for a particular task, it’s right there for them when they need it. Revision and reinforcement is a key tool to increasing retention. Video does that. 2) Train anytime, anywhere and on any device. Staff can learn about products or techniques between tasks, while travelling, or in the evening. This means lessons and information can be taught quickly because delivery isn’t restricted. Training videos are a global resource, converting your training from an expense into an asset. 3) Build trust through education. Building trust by educating customers to understand and use your products, will boost your reputation by showing your expertise. You can embed them on your FAQ’s page to help customers when they need help, or use them on YouTube which will build trust and reputation, and then leads. 4) Deliver once, teach many. Using video to train means you deliver your lesson once, and teach everyone. This saves time and money by reducing the direct sessions you need to deliver, and by opening up your training to a far wider audience. A great example of this is to use video for site health and safety inductions, instead of having a member of staff deliver them. Training in person limits your audience. Training by video means your audience is unlimited. 5) Keep your training at the cutting edge. Videos can be updated very quickly. Allowing you to respond almost instantly to change in products, services or customer needs. Rapid updating of material to reflect change can have huge benefits to how your customers view your expertise. Instead of taking months to make changes in your training material, you can do it in hours. Instead of being a victim of change, you can use it to your advantage. Training videos are not just for staff. Educational “How-To” videos are the second most popular genre on YouTube, with searches for ‘How-To’ videos increasing 70% year on year. Because scripts are often straightforward these can be easy to produce, and a good place for business to start with video. Sometimes adapting an existing presentation into video is just what’s needed. This video, produced for E.ON, is an example of how we can combine location filming with animations to produce an engaging, high quality video. Page One produced videos are used in schools, to educate employees, to build trust with customers, and to grow the market for training providers onto a global stage. Contact Nottingham video production company Page One to find out how we can help you to train and educate using video.